Who is eligible to sponsor a registered apprenticeship program? Any South Carolina employer, including a government agency, is eligible to sponsor an apprenticeship program and register it. Employers may sponsor a program individually, or they may collaborate with other employers with similar training needs. Programs also may be sponsored by a professional or trade association, a joint apprenticeship training committee, or a Small Business Development center on behalf of a consortium of employers. related technical instruction (or “RTI”). This is often delivered by a technical college and serves to reinforce the theory underlying the skills being learned on-the-job. A registered apprenticeship program is sponsored by an employer to meet broad industry standards. It is designed to create a career pathway for an employee to graduate from a lower skill level to the full performance level in a given occupation. Programs can range in length from one to six years as determined by the length of training that is common in the given occupation and the individual employer’s needs. Specific training content is determined by employers within recommended guidelines, and an employer has the discretion to award advanced standing to apprentices who enter a program with demonstrated skills. Registered apprenticeship programs also include a “scalable” wage component by which an employee receives incremental wage increases as he or she demonstrates the attainment of new competencies throughout the training program. This provides an incentive for the employee to complete the program. It also provides a cost offset for an employer investing in employees who will not immediately be performing at full productivity, as well as a retention tool for employers who are investing in their employee training. This wage and its progressive increments are determined by the employer, not a state or federal agency. An apprentice cannot start at less than the federal or state minimum wage. A program “registered” with the US Department of Labor (USDOL) shows an employer’s visible commitment to developing a high-quality workforce that meets nationally recognized training standards. The roles and responsibilities of both the employer and the employee are laid out in a written document (called the “Apprenticeship Standards”) and the curriculum for the training program is clearly delineated for both parties (through the “Training Schedule”). An apprenticeship program that is registered with USDOL awards a nationally-recognized credential to both the employer and the employee. In South Carolina, employers with registered apprenticeship programs are also eligible to receive a tax credit of $1,000 for each registered apprentice employed for at least 7 months during each year of his or her apprenticeship program, for up to four years. What are the program entry requirements for a registered apprentice? The only requirements pertaining to apprentices entering a registered apprenticeship program are that they must be at least 16 years of age. Registered apprentices must be selected without regard to gender, race, age, sexual orientation or religious affiliation—just like any other employee. Any other selection criteria is determined by the employer or group of employers sponsoring the program based upon the specific requirements of their industry. Typically, registered apprentices will need to demonstrate that they have an aptitude and ability for the given occupation, that they meet any minimum educational requirements for a given program, and that they fulfill any health and safety requirements for an occupation. Some employers choose to integrate the use of assessment tools such as WorkKeys into their selection process. Qualification criteria must be objective. Aren’t registered apprenticeships primarily for building trades or large manufacturing facilities? There are currently over 950 occupations for which registered apprenticeship programs have been established across the nation. These occupations span a broad range of industry clusters and demonstrate the power of the registered apprenticeship model to build a 21st century workforce. Careers that are currently recognized include those from traditional trades such as electricians and plumbers, but also encompass occupations in other fields such as child care, telecommunications, hospitality and health care. How do I find out if an occupation is eligible for registered apprenticeships? To view the full alphabetical listing of occupations that currently have registered apprenticeship programs, visit the DOL website. To view occupations in emerging or Green industries, visit the O*NET website. What if the occupation for which I’d like to develop a program is not on the list? Is a program still an option? it requires related instruction to supplement on-the-job training. I notice that there is a requirement for an incremental wage progression as part of a registered apprenticeship program. Will starting a program require me to pay employees a certain wage? No. A registered apprenticeship program does not dictate the wage that you pay an employee. The only federal requirement is that you not pay an employee an amount below the federal minimum wage at any time during their registered apprenticeship. In setting the incremental wage progression, the employer determines what the appropriate wage would be for a person at the full performance level and then sets a percentage below that amount as the entering wage for a new registered apprentice. The employer then determines appropriate benchmarks for increasing the wage as an employee advances in the program. An employer will identify the appropriate benchmarks for these increases—they may be every four months, every six months, once each year, or another arrangement that is appropriate to the usual method of skills attainment in a given occupation. The schedule of the wage progression is laid out in the Apprenticeship Standards so that both the employer and the employee understand this arrangement and the timing of the increases when entering the training agreement. Where can I get information on the apprenticeship tax credit? Eligible South Carolina businesses who sponsor a registered apprenticeship program can receive a $1,000 direct tax credit for each registered apprentice employed for at least seven months during each year of apprenticeship for up to four years. The tax credit is intended to offset the direct and indirect costs of establishing the registered apprenticeship program. Costs may include course design and development, instructional costs, training material and supplies, maintaining records and administering the program. 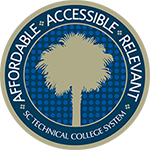 You can view a copy of the South Carolina tax form for the apprenticeship tax credit here. What kind of administrative work will this entail? Will there be a large amount of paperwork to maintain? There are essentially three types of documents that are required for a registered apprenticeship program. Some of these are one-time “up front” documents and others are maintained on an ongoing basis. These documents are the “formation” documents for the registered apprenticeship program. They contain the parameters of the program and ensure that all legal requirements are met. They also lay out the program entry requirements, the wage progression, and the training curriculum that will be followed. These documents are compiled and filed with the USDOL before enrolling apprentices in your program. While they may be revised and updated should your training needs change, these are filed once and are not an ongoing administrative issue. Your Apprenticeship Consultant will help you with the development of these documents. As you accept apprentices into your program, they will need to enter into an Apprenticeship Agreement to show that they understand and accept the training arrangements of the program. You will need to file this paperwork and keep a copy for your records; however, it is possible to do this electronically through the South Carolina State Director’s Office of the USDOL. This should minimize the administrative impact on any given employer. It will be important for your registered apprentices to demonstrate successful completion of their training requirements so that you are sure they are progressing toward full skill level. It is also important to be able to identify skill sets where the registered apprentice is having difficulty. A monthly progress report—maintained by the registered apprentice, but verified by the employer—allows for this feedback to occur. An employer can build worker accountability by having a registered apprentice maintain these records; however, an employer must provide a mechanism for verifying that the information is accurate and that adequate progress is being made. These should be maintained in a registered apprentice’s personnel file so that a transcript of the training completion is documented. I am a small company and may only be able to sponsor two apprentices right now. Can I set up a registered apprenticeship program? Yes. Registered apprenticeship is a model that works for both small and large employers. An employer can set up a program with only one registered apprentice and build its program around those specific training needs. Many smaller companies find it beneficial to collaborate with other local employers with similar training needs. This can be particularly useful in delivering the related technical instruction component of a program. What if I sponsor a registered apprentice and I decide that he or she is not working out? Am I obligated to keep that person in my program? No. A registered apprenticeship program will typically begin with an employer-determined probationary period during which either the sponsor or the registered apprentice may terminate the agreement for any reason. After the probationary period, either party can still terminate the agreement, though USDOL requests to be informed of the reason for separation only as a tool for seeking to improve the effectiveness of the registered apprenticeship model. There is nothing within a registered apprenticeship program that conflicts with your employer rights in a right-to-work state such as South Carolina. Is there a cost for the technical assistance you can provide to help me start a registered apprenticeship program? No. There is no cost for the services provided by either Apprenticeship Carolina or the South Carolina State Office of the USDOL Office of Apprenticeship. Identify an occupation for which you have a training need. Your Consultant will be able to tell you if the occupation is already recognized as eligible for registered apprenticeships or if you can pursue a new career program. You can also check the list of occupations here. Determine all of the knowledge and skills needed for the occupation or occupations in the program. Your Consultant will be able to tell you if there are existing models that might assist with this process. If you are interested in more than one occupation, you will need to develop the outlines for each career path. Determine what qualifications applicants will need to enter your program. Identify those who will provide supervision and direction to registered apprentices on the job. Identify a provider for the related technical instruction component of your program for each occupation. This instruction is often provided by a technical college. Identify an individual that will maintain the standards of training as identified. This can include confirming length of training, handling the selection procedure, administration of any tests of competencies, for example. Draw up the Apprenticeship Standards and Work Processes based upon the above information. Your Apprenticeship Consultant will assist you with this process and the remaining steps for registration with the USDOL Office of Apprenticeship.